Jerry E. Cooley, M.D. attracts patients from around the U.S. and internationally due to his reputation for personalized care and ultra-natural results. Dr. Cooley is a board certified dermatologist and diplomate of the American Board of Hair Restoration Surgery (ABHRS). He serves on the Board of Governors of the International Society of Hair Restoration Surgery (ISHRS) and is also a board member of the ABHRS. He is a frequent lecturer at hair transplantation conferences, and has authored numerous articles and textbook chapters in the field. He was the 2010-2011 President of the ISHRS. Dr. Cooley's results using AFR. Dr. Scott Boden earned his Medical Degree from the State University of New York at Buffalo with residency training at the University of Connecticut and St. Francis Hospital and Medical Center. He served as Clinical Instructor at the University of Connecticut School of Medicine Department of Surgery. Dr. Boden completed a preeminent Hair Transplantation Fellowship, accredited by the International Society of Hair Restoration Surgery. He is a Diplomate of the American Board of Hair Restoration Surgery, one of less than 150 surgeons in the world to have achieved this distinction. Dr. Larry Shapiro is a dermotologist specializing in hair transplants who has served South Florida with patients from all around the U.S. and internationally, since 1989 with over 11,000 hair transplant procedures in South Florida. He is a member of International Society of Hair Restoration Surgery (ISHRS) and Phi Beta Kappa and is interested in developing ways to decrease the dormancy period after hair transplants. Dr. Sean Behnam specializes in the most advanced hair restoration procedures. His philosophy of spending "as much as time needed with every patient" and placing his undivided attention performing hair restoration on only one person a day has enabled him to get great results that are natural and undetectable. His work has been featured on many TV news networks, and his patients fly from different cities and states to experience his individualized approach to hair restoration. Dr. Behnam is a researcher, innovator, teacher, and artistic leader. He has modified significant steps in hair restoration surgery for its aesthetic value and has made the process easier for patients. His intense effort in modifying hair transplant practice has lead to less downtime, minimal to no swelling after the procedure, minimal scabbing, no bruising, and better patient experience overall. He has seven Southern California locations. After medical training at OSHU and UCSF-Fresno, Dr. Behnam received training in hair restoration at the Distefano Hair Restoration Centers. Dr. Michael Zufelt completed his undergraduate studies at Brigham Young University and the University of Utah. He received his medical degree from Western University in California and completed his Emergency Medicine Residency at Midwestern University in Chicago. After practicing as an Emergency Specialist for 13 years, Dr. Zufelt completed a prestigious fellowship in Hair Transplant Surgery. He is a diplomate of the American Board of Hair Restoration Surgery (ABHRS), a diplomate of the American Osteopathic Board of Emergency Medicine and board certified specifically in hair restoration surgery. He has been doing hair transplant surgery since 2004. Jeffrey W. Hall, MD Plastic Surgery & Rejuvenation Center is solely owned by Dr. Jeffrey Hall and Tricia Hall. Dr. Hall, board certified by the American Board of Plastic Surgery, has been practicing plastic surgery since 1995 and is a member in good standing with the American Society of Plastic Surgery and other medical associations. He has served as the President of The Austin Plastic Surgery Society and is former Chief of Plastic Surgery for the Seton Medical Network. Dr. Hall has had a long standing interest in hair restoration, and believes in an individualized approach, utilizing hair transplantation, laser hair therapy, medical management, and supplementation to help patients reach their goals. Dr. Hall and Tricia Hall have both personally undergone hair restoration and are very pleased with their results. Dr. Brown has been a physician and surgeon for over 30 years. He has been treating women with hormone replacement therapy since completing his residency in 1979, and in the past 10 years has been focused on wellness issues for women and men: nutrition, fitness, supplements, and bio-identical hormone replacement. He now treats his hair-loss patients with Help Hair Shake. Dr. Andrew Hendricks is Medical Director of Southeastern Dermatology, PA, is a graduate of Princeton University and the University of Virginia School of Medicine. He received his dermatology training at Johns Hopkins Medical Center. Dr. Hendricks is listed in guides to America’s top physicians. He is a member of the American Academy of Dermatology, American Academy of Cosmetic Surgery, the American Society of Liposuction Surgery, the American Society for Dermatologic Surgery, the American Society for Laser Medicine and Surgery, the American Medical Association, and the North Carolina Medical Society. Dr. Chiritescu completed a three year residency program in Internal Medicine at the New York Hospital Medical Center of Queens, followed by a three year residency program in Dermatology at PennState University. 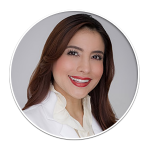 She is a fully trained Internal Medicine Physician, and Board Certified in Dermatology. Her practice, New Age Dermatology, focuses on medical, surgical and cosmetic dermatology. 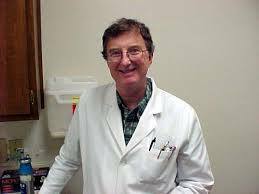 Dr. Ned Gross earned his undergraduate degree from Columbia University in New York City, New York. He entered civilian medicine with a Dermatology Residency at the Medical College of Georgia in Augusta from 1997-2000 and has remained in the civilian sector ever since. The beauty of the Piedmont drew him to this area, yet it was the warm welcoming Martinsville community that made him decide to practice here full time.Board certified in dermatology, Dr. Gross founded the Piedmont Dermatology Center in Martinsville in 2000. Word of mouth spread quickly, and soon many patients from the southern Virginia area were traveling to Martinsville to see Dr. Gross. Dr. Griffin practices in Atlanta at Dermotology Associates of Atlanta PC as a Dermatologic Surgeon, board certified by American Board of Dermatology. Dr. Griffin was invited to join RealSelf in 2011, and has achieved "Participating Member" status. and is a member of American Academy of Dermatology (AAD) and American Society of Dermatologic Surgery (ASDS). Dr. Welter works to develop new techniques using stem cells to achieve unparalleled results in hair restoration density. His team of professionals has been internationally recognized as the new leaders in the field of hair restoration and stem cells therapy. He is the founder of the New England Center for Hair Restoration From fuller eyebrows to complete scalp hair restoration procedures, his attention to details and creative technique has lead to unparalleled results. Dr. Welter is board certified, trained and licensed to perform hair restoration procedures for men and women. He is an accredited DHI Surgical Trainer, a member of the ISHRS, the DHI Master's Academy, and the DHI Medical Advisory board. Dr. Curtis is a member of Dermatology Associates of Atlanta. As a Board Certified Dermatologist, she can help determine the cause of hair loss and treat with a variety of medical and surgical options. â€‹She is Dermatology Resident Physician and Chief Resident, Wake Forest University Department of Dermatology. She is Diplomate, USMLE and Board Certified in Dermatology. Her professional memberships include American Academy of Dermatology, Women's Dermatologic Society, American Society for Dermatologic Surgery, American Society for Laser Medicine and Surgery, and Alpha Omega Alpha Medical Honor Society. Dr. Angela Phipps is a Diplomate of the American Board of Hair Restoration Surgery. 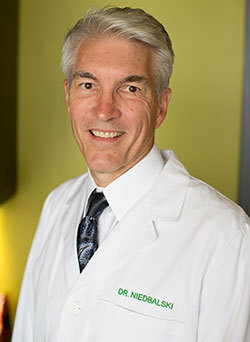 Dr. Phipps has degrees in nursing and osteopathic medicine, with advanced training in otorhinolaryngology facial plastic surgery, family practice residency, hair restoration preceptorship, aone-year hair restoration fellowship program and began to practice hair restoration surgery full-time in California, Nevada and Utah. In 2009, Dr. Phipps received her Board Certification in Hair Restoration Surgery - a field in which she chose to practice exclusively. Certified by the American Board of Dermatology, Dr. Rapaport is a Phi Beta Kappa recipient from Emory University and a graduate of the Emory University School of Medicine in Atlanta, Georgia. After internship at Emory, he completed his advanced training residency at Thomas Jefferson University where he served as chief dermatology resident. He is a clinical instructor at Mount Sinai School of Medicine and Chief of Dermatology at Holy Name Hospital. Dr. Faria, DO, FAAD, FAOCD is a graduate of The Texas College of Osteopathic Medicine. In addition to her medical degree, Dr. Faria holds a Master's degree in Pharmacology from the University of Texas in Austin. Her residency experience includes: Family Practice, Internal Medicine at Wayne State University, followed by Dermatology residency at Henry Ford Hospital, Detroit, Michigan. There, she joined the dermatology teaching staff for 6 years and held a leadership role in clinical research and co-chaired the Wound Healing Center. Over the years, her focus has diversified to be more holistic with integration of herbs, nutrition, vitamin, food, laser and cosmetic procedures. She is board certified by The American Academy of Dermatology (AAD) and American Osteopathic College of Dermatology (AOCD). Dr. Faria started EXCEL Dermatology in 1999. Theo Medical Dermatology, founded by Dr. Athena Theodosatos provides medical and aesthetic skin care services to patients of all ages. Dr. Theo, a native of Tampa, Fl received her masters in Public Health in Infectious Diseases and Tropical Health from The University of South Florida. She graduated from The University of Medicine and Dentistry of New Jersey School of Osteopathic Medicine and completed a 3 year residency in family medicine at Florida Hospital South and then completed an additional 3 years of dermatology training in Tampa, Florida. Dr. Theo has been published in Dermatologic Clinics of North America, the Journal of the American Osteopathic College of Dermatology, and co-authored a book chapter in a geriatric dermatology handbook on vascular disorders in the elderly and co-authored another chapter on Occupational Dermatology in a Preventive Dermatology textbook. Achiamah Osei-Tutu MD, FAAD is a board-certified dermatologist specializing in hair restoration, aesthetic, medical, and surgical skin care. After graduating from Binghamton University with a degree in Biology, Dr. Osei-Tutu received her medical degree from Stony Brook University School of Medicine. Dr. Osei-Tutu is sensitive to issues of multi-ethnic skin and is committed to providing her patients with personalized care. Dr. Levy attended the Albert Einstein College of Medicine in New York. He spent six months at the prestigious New York University Skin Cancer Unit. Dr. Levy graduated medical school with a special degree in Cutaneous Oncology, skin cancer. Dr. Thomas D. Griffin, will begin seeing patients who are concerned with thinning hair. Dr. Griffin is a board certified dermatologist with over twenty years of experience in the diagnosis and management of hair loss and hair transplantation. He was recruited by Dr. Kevin J. Cross and deme to provide a new level of care for patients in the Philadelphia region. For many of his patients who are hair restoration candidates, Dr. Griffin will utilize the ARTAS Robotic Hair Restoration System that includes a 3-D imaging system to allow patients to restore or create a desired hair pattern on a computer screen while looking at their own head in three dimensions on that screen. As the most experienced hair transplant surgeon in the Pacific Northwest, Dr. Robert Niedbalski enjoys a reputation of excellence and integrity among his patients and peers. Over the course of his 20+ years in hair restoration, he has become one of the leaders in the profession. Dr. Lu completed his dermatology residency at the University of Michigan Medical Center, where he served as the Director of the Special Surgery Clinic. Dr. Lu is a Diplomate of the American Board of Dermatology and is a Fellow of the American Academy of Dermatology and the American Society for Mohs Surgery. 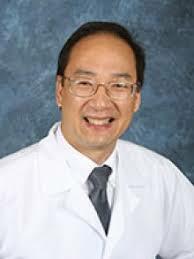 Dr. Lu is affiliated with Oak Hill Hospital. Dr. Fred Bodie founded his practice of general and aesthetic dermatology in the beautiful oak tree covered area of Springhill in Mobile, Alabama. Dr. Bodie is certified to practice by the American Board of Dermatology and the American Board of Pediatrics. He trained in dermatology at the University of Alabama in Birmingham. Dr. Bodie’s practice is now called Springhill Dermatology Clinic P. C. Over the years, he has done research for such well known companies as Pfizer, Galderma, and 3M Pharmaceuticals. During that time, myriads of cosmetic products have bombarded us all with promises of the fountain of youth and promises of rejuvenation of skin aging. Dr. Bodie had committed to researching these products and their claims. Dr. Martinick, a past Vice President of ISHRS, is the recipient of the ISHRS Platinum Follicle Award 2003 and she was the Past President of the Australasian Society of Hair Restoration Surgery 2002-2006. 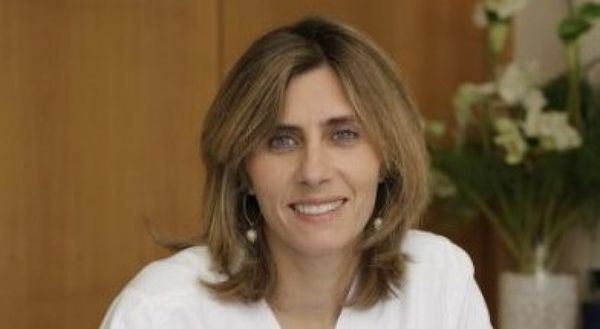 She is the current President of the ISHRS. See Dr. Martinick results using AFR. Marwan Saifi, MD, is a General Surgeon and a Diplomate of the American Board of Hair Restoration Surgery (ABHRS) and he is a member of the International Society of Hair Restoration Surgery (ISHRS). He has been performing quality follicular unit hair transplantation since 1995, when he improved the procedure by creating a device called The Hemostatic Dilater which was patented under his name (Dr. Saifi, United States patent, number 5,797,945 August 25, 1998). Dr. Saifi's results using AFR. Dr. Hajduk graduated from the Medical faculty of Charles University, Prague. He is a certified surgeon and orthopeadist. Since the second half of the 1990s., he has been performing mostly hair transplants. He started with this subject in 1996 in Gallagher Medical Institute, Philadelphia, where he learned the practicing of the Zonal Grafting method. He has participated on the development of the follicular grafting method. After he had returned to Europe, he established two hair transplant facilities in Kosice and Prague. In 2003, he was the first in central Europe to use the FUE method, namely the FUE-FM method, which significantly pushes the limits of autotransplantation of hair follicles. He holds licenses and certifications of the Czech and Slovak medical chambers. He is a member of: The International Society of Hair Restoration Surgery ( ISHRS), The World Society Interdisciplinary Anti-aging Medicine (WOSIAM), International Transplantological Society ( ITS) and AACS. A founding member of the Czech and Slovak Society of Anti-Aging Medicine (CSAAM), ESAAM and ISLT and a honorable member of the Jordan royal dermatological society. He regularly gives lectures in Jordan, France, Poland, Georgia and Slovakia. He is the author of 15 lectures on international congresses. Dr. Mwamba received his medical degree from the Catholic University of Louvain, Belgium in 1998, with fellowship participation in general surgery. He worked at the New Hair Institute in Atlanta and the International Hair Transplant Institute. He practices the art of total microscopic Follicular Unit Transplantation (FUT) and is one of the early developers and pioneers of the minimally invasive Follicular Isolation Technique (FIT), also known as Follicular Unit Extraction (FUE). He performs both STRIP and FUE, believing them to be . complementary. He has 11 years of experience with STRIP and about 8 years in FUE. In 2006, Dr. Mwamba started his own private medical practice, World Hair Transplant Center in Brussels, Belgium, dedicated exclusively to hair restoration surgery. See Dr. Revesz' results using AFR. Christian Schmitz is board certified Plastic and Aesthetic surgeon. He is a graduate of the Heinrich-Heine-University of DÃ¼sseldorf Germany. After completing of a residency in General Surgery he subsequently finished also the residency training in Plastic and Aesthetic Surgery. He served as Clinical Instructor and Attending Plastic Surgeon in an academic teaching Hospital of the Medical School of Hannover, Germany. He is now working in his private practice in Cologne, Germany, and Director of PureHair©. Christian Schmitz is member of the German Society of Plastic, Reconstructive and Aesthetic Surgeons and the German Society for Surgery. He is the first Help Hair Doc in Germany. See Schmitz results and news. Melike Kulahci is the founder and medical director of Transmed, located in Instanbul, Turkey. She was trained at Instanbul University, where she completed her residency as a faculty member in the Dept of Anesthesiology and Reanimation until 1993. She was an assistant surgeon from 1988 to 1990 and worked in hair restoration clinics in the USA and Germany in 1993-1994. Her papers include: In Vivo Follicular Unit Multiplication: Harvesting an Unlimited Donor Supply, Transmed Graft Preservation Solution. and Scar Concealing without Resulting a New Scar, all presented at the 12th Annual Scientific Meeting by International Society of Hair Restoration Surgery. Vancouver, BC. She is a member of ESHRS and ISHRS. Dr. Andre Nel qualified at the University of Pretoria School of Medicine in South Africa. He is registered to practice medicine in South Africa, the United Kingdom, Canada and Ireland. He is a Diplomate of the ABHRS (American Board of Hair Restoration Surgery). He is a member of the ISHRS and ESHRS (European Society of Hair Restoration Surgeons). His personal specialities are FUE technique and combination FUE/FUT technique with hair restoration. San-Med Hair Transplant is a professional place where modern procedures of hair restoration surgery are performed. Here each patient is treated individually and the whole staff does their best to make your stay in our clinic nice and pleasant. We ensure full anonymity and intimate atmosphere.Hair transplantation procedures are performed by dr Artur Sandelewski. Dr Sandelewski is a 2nd degree specialist in general surgery and specializes in esthetic surgery. Hair restoration surgery is of particular interest of dr Sandelewski. Dr Sandelewski makes use of the skills in this difficult field of medicine- hair transplantation which he acquired during many courses and trainings. Dr Sandelewski gained the most experience during hands-on trainings at the side of dr Vinzenzo Gambino and dr Akaki Tsilosani. San-Med Hair Transplant is localized close to Bielsko Biala city center which ensures a convenient access. Specially prepared surgeries ensure comfortable conditions of stay for the patients. Dr. Irinel Nedelcu is a specialist in Dermatology, and Managing Director of the Clinic of N. Gh. Lupu Hospital, Euro Clinic Bucharest. The private dermatology clinic EURO CLINIC is unique in Romania by its approach in prevention, treatment and care of various hair diseases. Euro Clinic Bucharest branch has been set out from the chain of Euro Clinic surgeries that operate in the USA and Western Europe and specializes in transplantation with own hair. The know-how comes from similar clinics in Austria, Switzerland and Germany. The medical technique of implant performed is one of the most advanced in the world. The operational team is formed of three doctors, three assistants and a scientific chemist. A specialized training course is attended annually at the similar clinic in Austria. The medical team is responsible for the five years of success in hair transplant surgery. Dr. Oguzoglu did his PhD in 1990 at the Gazi University in Ankara. Since 1996, he has performed more than 7,000 surgeries and thus he is one of the leading specialists in this field in Turkey. Since 2005, he uses modern FUE technique which makes it possible to transplant large areas, without leaving scars. Dr. Oguzoglu is a member of the ISHRS (International Society of Hair Restoration Surgery) since 2007 and takes part each year in conferences they hold. He also attends in their training sessions as a trainer. Since 2010 he has been working in the hair clinic of the Medistate Hospital in Istanbul. Dr. Zakarias: is the head of the hair and plastic surgery at the Hair-Aesthetic Clinic Ltd, Budapest. The clinic applies in practice the SafeSystem (FUE2) hair transplant procedure, patented in the United States of America, as the innovation partner of HSC Colorado. In the frame of our continuous professional cooperation Dr. James Harris, one of the best-known hair transplant specialists of the world is supporting his work. The clinic staff were the first in Europe to be trained to use the SAFE System which is the most recent technique of hair transplantation, and of course during the treatments the clinic apply successfully the Help Hair protein shake. 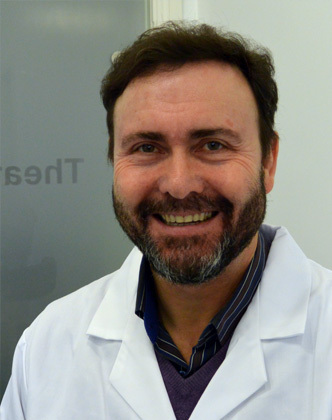 Dr. Couto: is the owner of FUE Expert Clinic in Madrid. Diplomado en Medicina y Cirugia por el Instituto de Ciencias medicas de La Habana - Cuba en 1985, es Especialista en Traumatologia, Cirugia Plastica y Master en Medicina Estetica. Desarrollo sus conocimientos y habilidates en Transplantes Capilares a partir de 1992 en U.S.A. done residio por dos decades, tomando experiencia en estancias con numerosos cirujanos de renombre internacional y participando en courso, talleres practicos, congresos, jomadas y encuentros scientificos. Dr Cristina Paradelo (medicine and surgery degree - Barcelona University), is a specialist in dermatology, trichology, laser therapy, hair transplant. She is a member of the International Society of Hair Restoration Surgery (ISHRS). Dr. Shahmalak runs one of Britain's most successful and best known hair transplant clinics. He has treated a number of high-profile industry leaders and celebrities. He began his career as a general surgeon in Ireland in 1990, has been a member of the Royal College of Surgeons in Ireland since 1995. 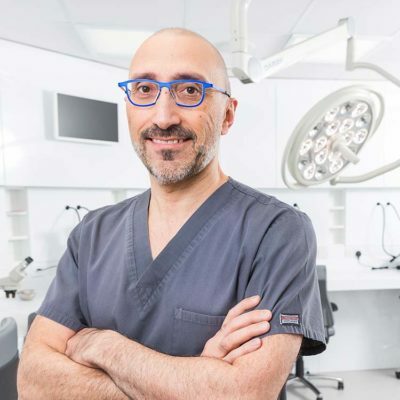 He joined the National Health Service as a specialist doctor in general surgery in 2001, practising until 2011 when he dedicated himself full-time to private hair transplant surgery at his own Crown Clinic near to Manchester Airport and in Harley Street, London and Slievemore Clinic, Dublin. He has appeared on a number of television and radio programmes talking about his techniques and demonstrating his surgery and has written about hair restoration for a number of media publications in addition to his blog on the Huffington Post. The Farjo Hair Institute is one of the UK’s premier centers of excellence, and one of the most revered brands in hair transplant surgery around the world. Uniquely combining hair transplant surgery, hair loss medicine, hair scientific research & hair restoration education, our award-winning doctors are amongst the most published in the world in this field. A medical and surgical facility established in 1993, the Institute is dedicated to providing the best quality patient care in the fields of medical hair treatment and surgical hair restoration. A member of the Royal College of Surgeons, Dr Edward Maitland Ball has been at the forefront of bringing world-class surgical hair replacement techniques to the UK.His background is in cosmetic medicine, general practice and plastic surgery. Trained in microsurgery and dermatology, he remains a valued member of the skin cancer surgery team at University Hospital Southampton. He was handpicked to undertake his Fellowship in Hair Restoration Surgery in Beverley Hills, California. He subsequently became Clinical Director of Ziering Medical UK, before founding The Maitland Clinic in 2015. He firmly believes that hair restoration is a life-changing experience and an ongoing journey, which means that patients should receive full care and attention throughout the process and beyond. This principle is at the heart of The Maitland Clinic’s ethos. Luigi Catania, MD. Dr. Louis Catania, a plastic surgeon in Rome for more than 35 years, is a specialist and primary id. in general surgery and cardiac surgury and, a member of CRPUB.org and the Italian Society of Aesthetic Surgery. He is a consulting surgeon at private institutions and an opinion leaders and product specialist in the field of aesthetic medicine and plastic surgery. He regularly participates as a speaker at major national and international conferences. He has conducted and directed master classes and training. Dr. Cahuzac is a medical doctor qualified in dermatology. Along with her highly trained staff she has exclusively practised Hair Transplant surgery for the last 16 years in a clinic devoted to this in the very centre of Paris near the Champs ElysÅ½es. She is a member of the International Society of Hair Restoration Surgery as well as the Institute of Trichologists in London. Dr. Lemos is a graduate of the University of Sao Paulo School of Medicine (1985). He received the "Professor Edmundo Vasconcelos Award" for being the best student in the Class of 1985. He subsequently completed two residence programs in General Surgery and Plastic Surgery at the Clinical Hospital of the University of Sao Paulo School of Medicine. Dr. Lemos is a member of the Brazilian Society of Plastic Surgery, the International Society of Hair Restoration Surgery, and the Brazilian Association of Hair Restoration Surgery. He is tirelessly dedicated to perfecting the art and efficiency in the field of hair restoration surgery, especially in long hair transplantation. Juan David Londoño Villa, MD graduated as Medical Doctor and Surgeon in the School of Medicine of the University of Antioquia with Specialization in Plastic, Maxillofacial and Hand Surgery, in the University of Antioquia. Dr. Londoño acquired his surgical training in reconstructive surgery at the University Hospital San Vicente de Paul and the Leon XIII Clinic of the Social Security Institute of Medellin. Dr. Luis Nader is director of Nader Medical Hair Restoration Center in Reynosa, Mexico, which is located at the border from McAllen, Texas. Exclusively dedicated to hair restoration, Dr. Nader performs artistic and natural quality hair transplants, as well as eyebrow, eyelash, and beard hair restorations, being FUE an important part of his practice. With more than 10 years of experience in hair restoration, and graduating from one of the top Medical Schools in Mexico (Universidad de Monterrey), he is constantly looking for better ways to minimize downtime and accelerate hair growth to achieve faster results. Dr. Nader was the first doctor to introduce Help Hair shake to Mexico. Dr. Nader's memberships include the International Society of Hair Restoration Surgery (ISHRS), Texas Cosmetic Surgery Society, and member of the Trichological Society, among others. Dr. Rajput is Consultant Hair Restoration Surgeon in Mumbai, India and has an MS in general surgery and a MCh in plastic surgery from Bombay University. He has been a lecturer and/or appointed tutor in plastic surgery, ethiskills, basic surgical skills, and trichology. He has published numerous papers on artificial hair implants and hair restoration techniques, cyclical medicine, and has done pioneer work and research on cyclical medicine for hair loss management, plasma fractionation, non-irritant, biodegradable, electrostatic hair camouflage filaments, adipose-derived stem cells, and platelet lyses and has appeared on national TV on these topics. Dr. Rajput's memberships include ISHRS, Indian Association of Hair Restoration Surgeons (President), Asian Association of Hair Restoration Surgeons, Indian Association of Aesthetic Plastic Surgeons, and Association of Plastic Surgeons of India. Dr. Shuba is a dermotologist who has practiced in the UK, and who has relocated to the Hyderabad area of India. She was a slimming and cosmetic doctor in the UK, working in Livlife Hospitals as a hair transplant & cosmetic dermatologist. She was trained in aesthetic medicine, dermatology and the rhythmonutrition foundation course in UK. She worked as a GP and as a slimming doctor at at the UK National Slimming clinics with obesity and obesity related health issues. Dr. Damkerng, MD, is certified and recertified by the American Board of Surgery, Diplomate American Board of Hair Restoration Surgery and is a Fellow of the American College of Surgeon. He was honored as Pioneer posted in the Hair Forum International for his work in donor harvesting to minimize follicular transection . His technique is well known as an open technique. He is also a first pioneer that brought in state-of-the-art hair restoration surgery to Thailand. He was on the original International Advisory Committee for the ISHRS , board of governor of ISHRS. He received Golden Follicle Award in 2010, Asian Follicle Award in 2012. Dr. Jino Kim is a board certificated plastic surgeon and ABHRS, practices hair restoration surgery since 2007 in Seoul. He received his undergraduate degree from the Yon-SeiUniversity in Seoul, Korea with a major in medicine in 1997. After four years of Plastic Surgery residency at Yon-SeiUniversity Graduate School of Medicine, Dr. Kim has been board certified in Plastic Medicine having practiced that specialty for over 4 years. During that time he performed hundreds of facial, and body repairs including the hair transplant restoration. He is a secretary of KAHPS(Korean Academic Association of Hair Plastic Surgeon), and a director of KHRS(Korean Association of Hair Restoration Surgeon). He constantly devotes himself in his study to develop the hair transplant method more suitable for Asian and works as a vehicle to spread and share the Medical techniques between Asia and Western nations. Ultimately he would be the one making contribution in the standardization and globalization of the hair transplantation skill. Following is a list of clinics, spas, and trichologists, who sell Help Hair Shake at retail.